Rolf’s an old-timer, past 90, and other than when he was in the Pacific fighting World War II, he’s been paddling around the Boundary Waters. He used to run an outfitter off the Gunflint Trail north of Grand Marais and spent more nights on the lakes up there than off them. When Hamm’s Beer needed an iconic looking outdoorsman to pose with a bear for their ads, they called Rolf. The names of lakes roll off Rolf’s tongue like a parent talking about his kids. Saganaga, Seagull, and on and on. I told him about my route and he smiled and nodded and knew every inch of it. They say no one can see every lake out there, but Rolf probably comes as close as anyone. “So has it changed much from when you first started going out there?” I asked. He’d been in it since before it was even known as the Boundary Waters, before the forest service designated it a wilderness, before anyone outside of Minnesota knew it existed. But he fought the planes anyway, even if it cost him a few friends, because he’d been on lakes no one’s ever heard of, a dozen portages in, and watched the wild break under the roar of a floatplane’s motor. “People need a place to get away from all that,” he said. But the fight to protect the Boundary Waters didn’t end when the planes stopped landing on far away lakes. Civilization is always coming for our wild places. Mining, roads, and cell phone towers that will blink all night on the horizon, they are all coming to cut away at the edges, piece by unnoticeable piece. But a single light turns into two, then four, then you look out and it feels like any other place on the map. Will I be able to say “it’s gotten better” and tell some kid a story about pulling a sea kayak from one end to the other or will I think of Rolf’s balled-up fist, his wrinkled skin pulled tight across his knuckles, the color draining from his hand, and wonder what happened to it all. Want to learn more about efforts to protect that fist of wild on the map called the Boundary Waters? 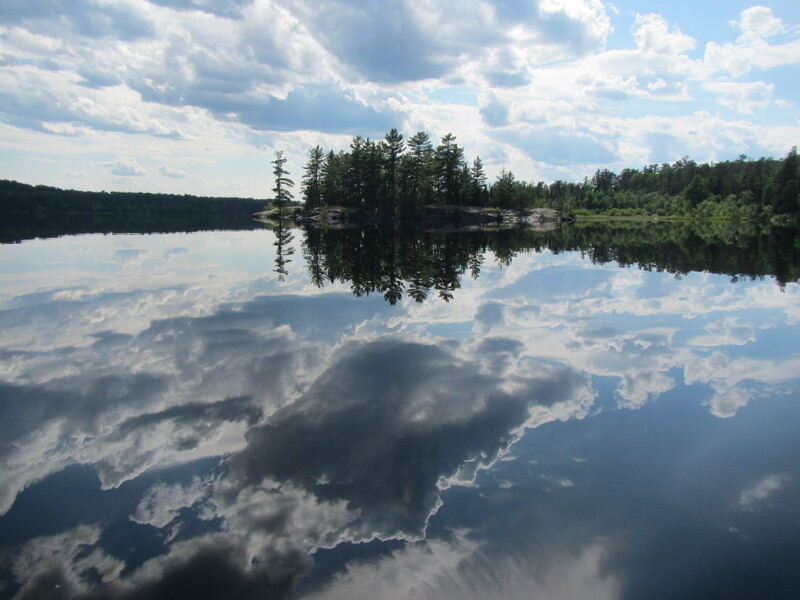 Friends of the Boundary Waters Wilderness leads the effort to protect and restore the Boundary Waters Canoe Area Wilderness from threats such as mining, logging, development, haze, noise, fire suppression, and loss of native species. The organization was formed in 1976 to protect this vulnerable area and two years later shepherded legislation through Congress that brought full protection to the Boundary Waters. Go to their website and learn more about the issues facing the Boundary Waters and how you can help. Posted in Angle to Key WestTagged AKW August, Angle to Key West, boundary waters, cell phones, friends of the boundary waters wilderness, maps, mining, Rolf Skrien, wildernessBookmark the permalink. It makes me cry to think of the fist measuring the remaining wilderness there. Looking at the Friends of Boundary Waters videos on the mining threats makes me both angry and sad…more corporate greed and environmental devastation! I live in Florida, but it does not matter how far or near. Our precious waters need protection. I will match your donation, Daniel, and I encourage all of your fans to donate what they can…before it’s too late. I will also make a contribution and thank everyone in Minnesota and elsewhere protecting our natural resources…..and thank you Boundary Waters. Great work Daniel!! I hope when you get to the Tampa Bay area that I can introduce you to my friends Al&Cindy Davis who have passionatley and tirelessly advocated for the waters and the environment for years as has their attorney Tom Reece. In fact they put the EPA’s feet to the fire and hopefully we will see some results from their efforts. Unfortunately that could of course change in after Nov.